YOU can be the difference in the lives of patients and families facing end of life. This orientation is scheduled for three sessions: April 1, 2 and 5 from 9 am-1pm. Volunteers are required to attend all three dates to complete training. 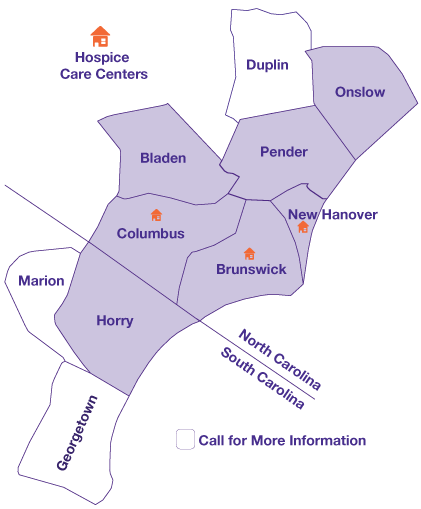 Every day, Lower Cape Fear Hospice volunteers make a difference in the lives of patients and families facing life-limiting illness. By providing companionship or respite, running errands, taking care of beloved pets, mowing a lawn, planning a life celebration, helping complete a bucket list wish, cooking a meal, honoring a veteran’s service, or in so many other ways, our volunteers provide support to families when they need it most. We offer our patients a variety of volunteer services and therefore those of all ages and walks of life with a variety of skills and talents are needed. Volunteers can also assist LCFH in its mission by providing administrative assistance, helping with fundraisers, and providing outreach at community events. To RSVP for this orientation, please fill out the form below or contact our volunteer department at 910-796-7900.